Award winning singer Richie Stephens has been an established global superstar for over three decades. He garnered recognized from his very first performance, at the age of 11 which left the crowd in awe. Whether appearing with reggae great like the late Dennis Brown or with the late Sir John Holt, he has Jamaican audiences rocking and dancing in the aisles. In the early 1990’s while Richie was on tour in Europe with Shabba Ranks, famed producer Jazzy B from Soul 2 Soul saw his performance at Brixton Academy in London. Jazzy was so impressed with Stephen’s powerful voice and vibrant stage performance, that he asked him to do a song on Volume 3 of the album titled Just Right. The song, “Joy”, was selected to be the first single released from the album. The success of this single paved the way for Richie’s international acclaim. In 1993 he went on the album’s European promotional tour with Vanessa Williams and James Brown. “Joy” climbed to the number 3 spot on the British Charts and the top five on other Charts in Europe. This achievement earned Richie and appearance on the Arsenio Hall show, where he performed ‘Joy’ live and was interviewed by the legendary late night television host. Richie Stephens soon caught the attention of music giant Motown Records and was signed to the label in 1994 and recorded one album which sold thousands of units throughout the American, Japanese, European and Caribbean markets. He now owns his own Record Label, Pot of Gold Record and has recorded and released more than a dozen albums and hundreds of singles. Stephens made great musical strides with his studio album “Reggae Evolution” on the VP record label that debuted at # 9 on the Reggae Billboard charts. He also performed on the “Today Show,” NBC 6 to millions of viewers world wide. Stephens who missed the 2011 Jamaica Jazz and Blues festival due to the tragic death of his 22 year-old son performed with his friend Gentleman at the 2012 Festival. That message morphed into his anthem, ‘Live your life.’ Stephens described performing with Gentleman before an audience of 750,000 people in Poland as part of his therapy. The video clip for the song won the award for ‘Best Music Video’ at the 2012 International Reggae and World Music Awards (IRAWMA). That year he racked up a total of 12 awards including three (3) ‘Lifetime Achievement Awards,’ four (4) ‘Song of the Year’ awards, a ‘USA Congressional Proclamation,’ two (2) ‘Achievement Awards’ and ‘Best International Song’ for 2011. In June 2012, he was the recipient of a a USA Congressional Proclamation from Gregory Meeks at the Third Annual LI Caribbean-American International Festival in Long Island. That year he released a gospel album titled ‘God Is On My Side.’ The 12 track disc included powerful original songs like ‘Tears,’ ‘In The Name of God’ and traditional gospel songs like ‘Why Me Lord,’ ‘Only A Fool and ‘A Change Is Gonna Come.’ An album of duets titled ‘Live Your Life’ with his friend Gentleman was also released by VP Records. In 2013, Stephens kept the musical flames burning with a fourteen-track album titled “Real Reggae” music which comprised songs produced by veteran producers Donovan Germaine, Steelie and Clevie, Brownie and collaborations with Bunny “Striker” Lee. Tracks like “I Found Heaven” “Murdah” “Set It Off” “Jah Will Be Done” were taken from original authentic multi track tapes of tracks produced by Bunny Lee. Additionally there was a cover of Bob Marley’s “No Woman No Cry” which was produced by German new comers “Radiation Squad”. Real Reggae Music also featured collaborations with internationally renowned reggae icons Daddy U Roy, Gentleman, Alborosie and Richie Campbell. 2014 was a banner year for the talented reggae crooner who proved his relevance with a highly anticipated music video for the single “Everybody Dance” which was recorded on the new Ska Teck rhythm. The video, which world premiered on the popular WorldStarHipHop.com web site, featured over 40 dancers of all ethnicity and saw Stephens making his international debut as a dancer. He closed out 2014 in a musical blaze with a hot new combination single titled ‘Madness’ with Dancehall King Beenie Man. To kick start 2015, the two music icons delivered the highly anticipated music video for “Madness” which had its world premier in January, just ahead of his scintillating performance at the 2015 Jamaica Jazz & Blues Festival in Falmouth, Jamaica. A few weeks after returning from a successful world tour, that took him to parts of the Caribbean, Brazil, North America and Europe, Stephens continued his innovative path, announcing the formation of a 9-man ska ensemble called Richie Stephens & the Ska Nation band. “I have always loved Ska music. Based on my own insights and the feedback I got from fans, I am choosing to record and perform real authentic Ska music which originated in Jamaica in the late 1950s. The music has a huge fan base in Europe, Japan, the west coast of the USA and other parts of the world. Now that I have a Ska band, we are ready to take on the world with this fresh music,” he said. Although he is forging ahead on this new venture, Stephens say he will still be performing as a solo act and that Richie Stephens and the Ska Nation is a separate entity. 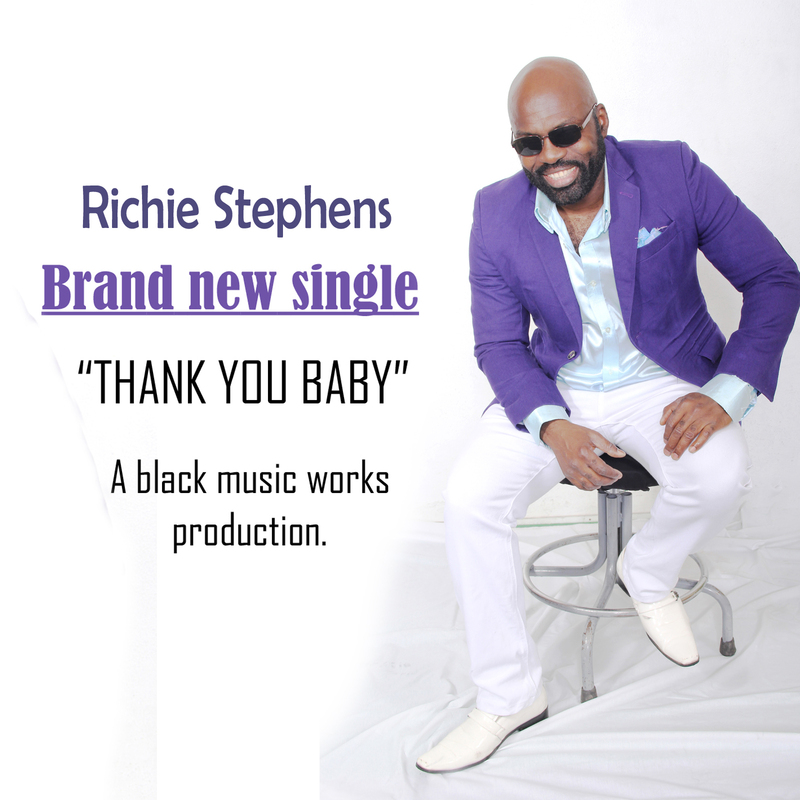 “My fans will still get to enjoy the soulful side of Richie Stephens that they know and love” he gushed. Stephens and the band members who were born in south Italy are currently in studios recording a full studio Ska album which will be released in 2016. International producers Sly & Robbie and Steven “Lenky” Marsden, best known for creating the Billboard chart topping Diwali dancehall riddim have already produced tracks that will be included on the disc. There are also new videos in production to complement tracks from the album. Stephens’ work was recognized in 2006 by the government of Jamaica with the Governor-General’s Achievement Award for his contributing to various civic, social and recreational projects.